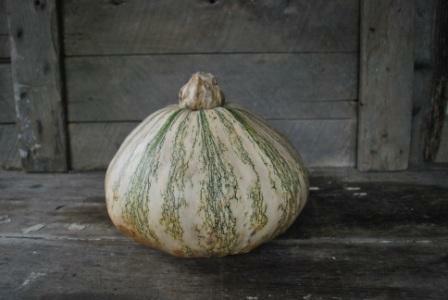 Native American heirloom. 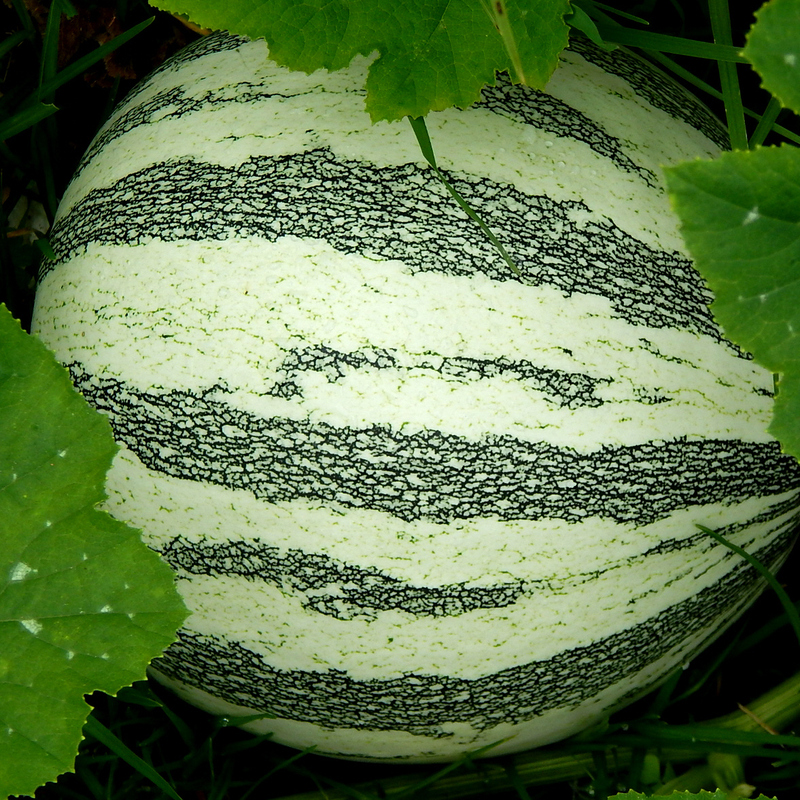 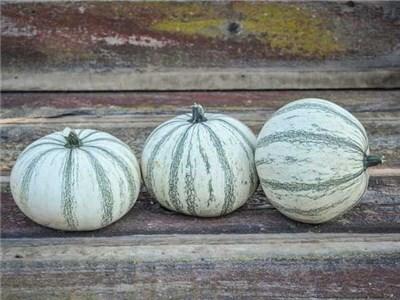 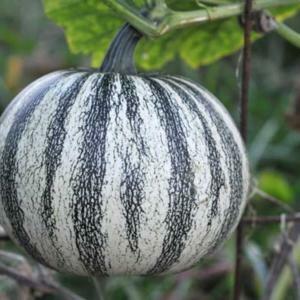 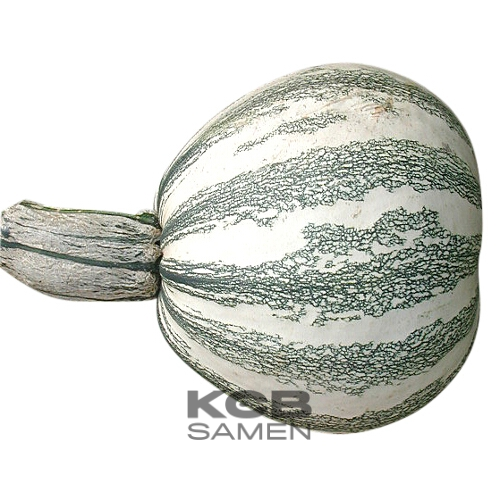 Round or pear-shaped white fruit with mottled green stripes producing large, tasty �silver-edged� seeds. 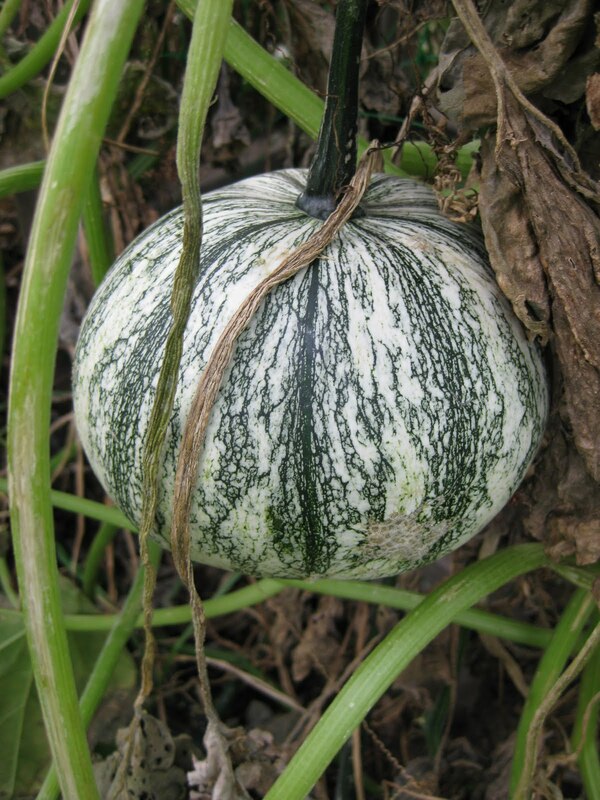 Grown mainly for its seeds which are easily removed when roasted. 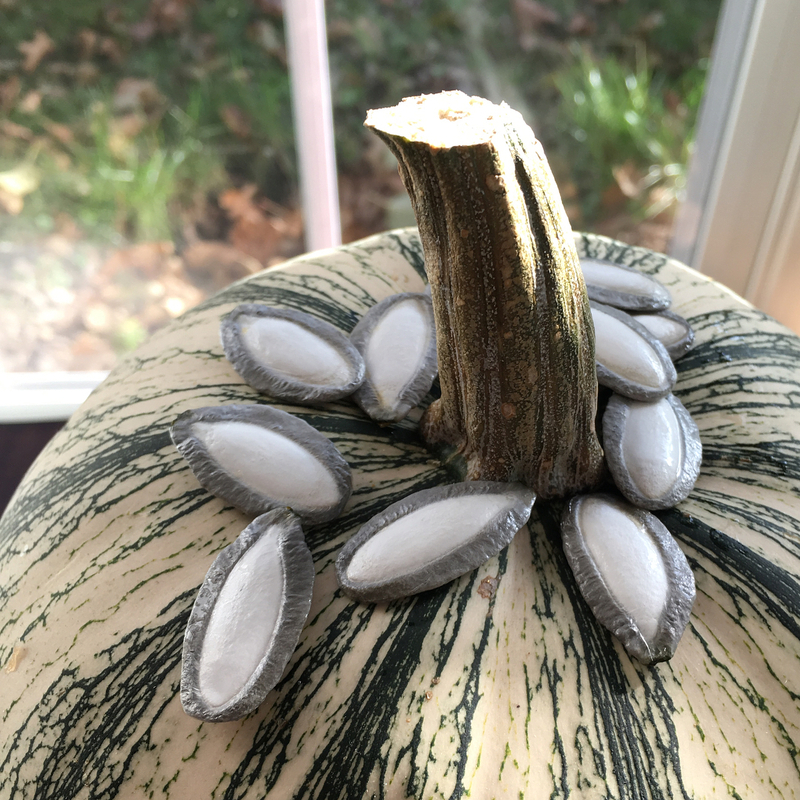 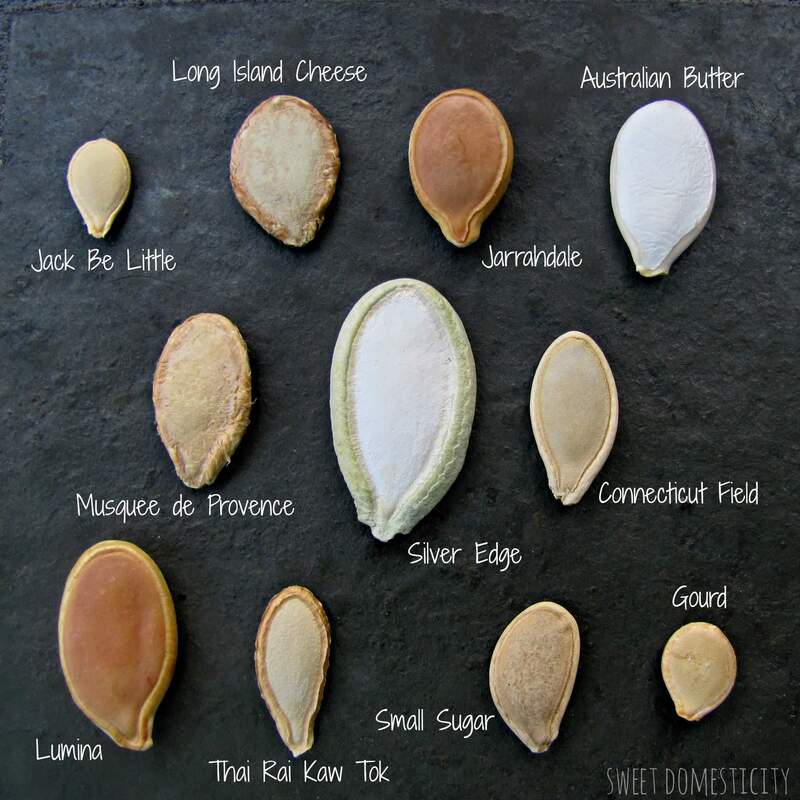 The seeds are then, salted & used as pepitas. 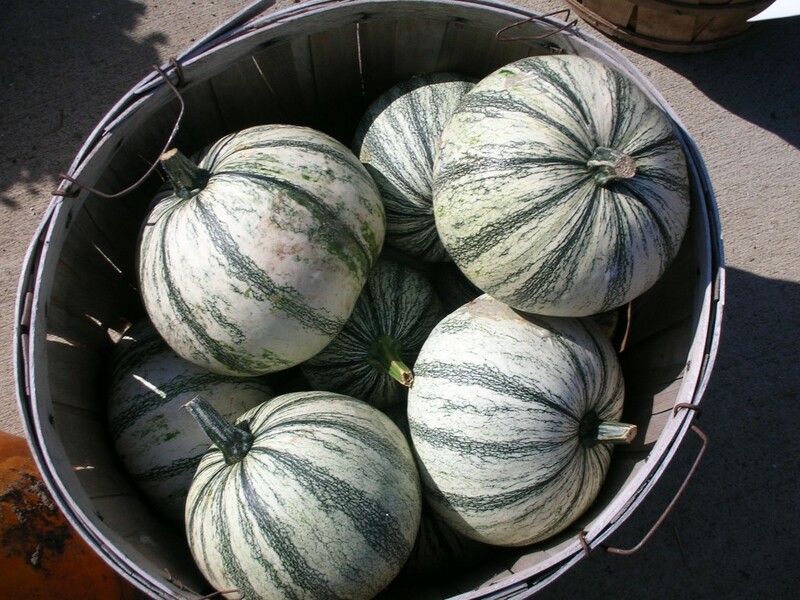 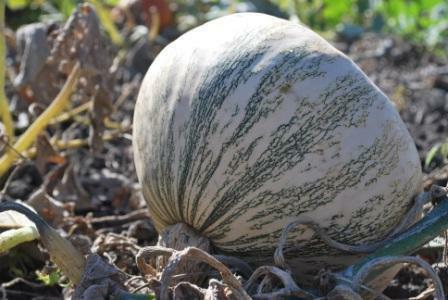 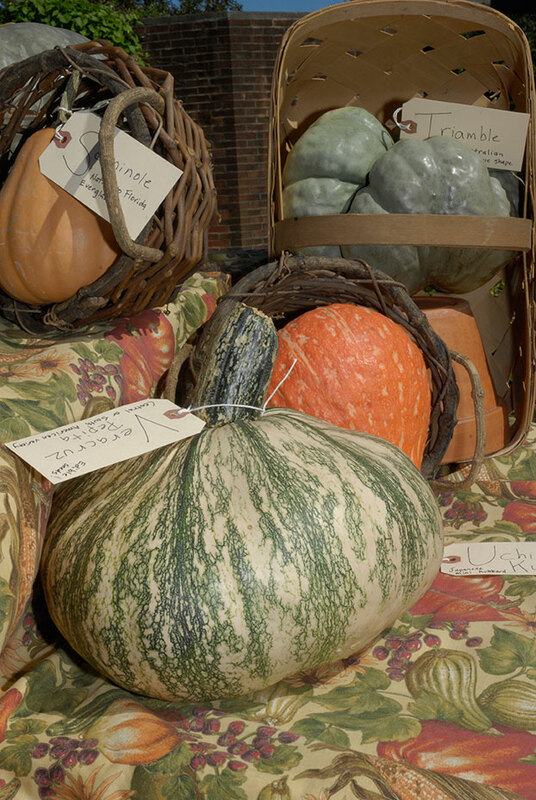 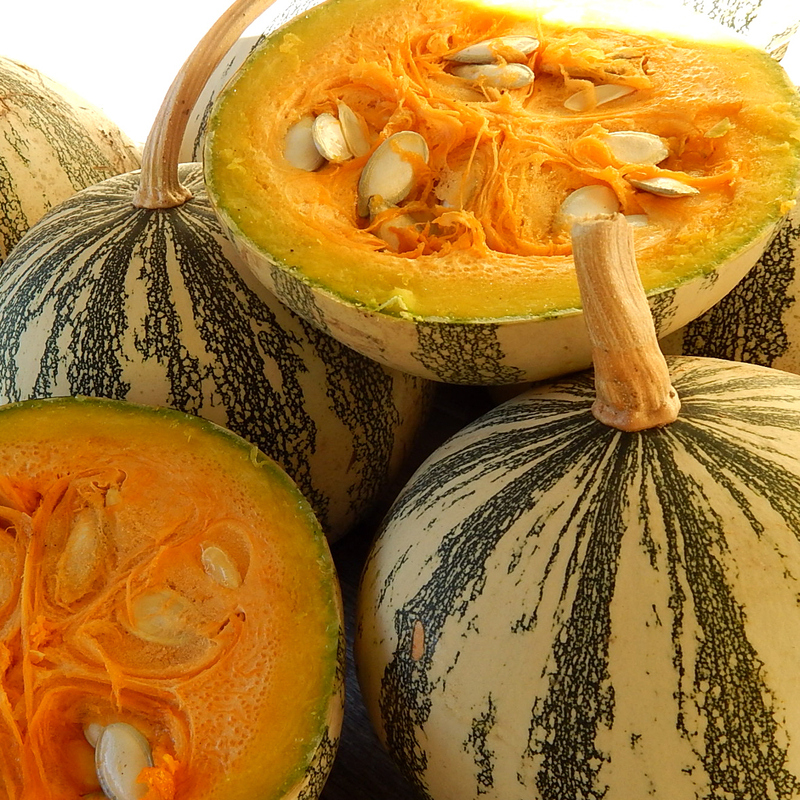 The flesh cn be used in dishes, though tastes different from other winter squash. 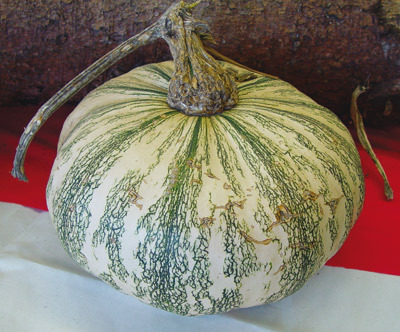 Also called Pipian From Tuxpan.